When it comes to the wood for your stove:don’t burn water! 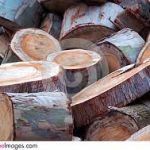 * Find green wood and dry it yourself – probably the cheapest option, if you’ve got the space to dry your logs properly, but do bear in mind that it will take a while. As a minimum, you’ll need to make sure that you’ve given your logs at least one summer to dry properly (two is better). * Find a good supplier. The best way of finding a good log supplier is to go through an accreditation scheme such as Woodsure. This is an audit of whether the logs really are as dry as the supplier claims, which gives you some peace of mind that you’re not being ripped off. 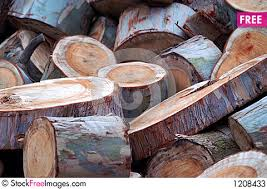 * Buy kiln dried logs or briquettes. There can be sustainability issues with this sort of material, as energy has been added to dry the fuel before it reaches you, though some (but not all) suppliers use wood-fired kilns. This is usually the most expensive (but simplest) way of fuelling a stove. * You can get a Scavenging Licence from the Forestry Commission which allows you collect firewood from Forestry Commission land subject to agreement with the Local Forest District Office. You can only use hand tools in the forest, and the licence lasts 3 months. Can I burn Household Coal in my stove? We strongly advise against burning household coal in a multi-fuel stove, the reason for this is that, when coal is added to it has a delayed burn. This means it does not immediately start to burn. What it does do, is release a large quantities of thick highly volatile yellowish-grey smoke, which fills up the chimney flue. This is extremely dangerous, as when the smoke reaches a high temperature it can cause an explosive flash. The force of the blast can blow out the stove glass or even blow open the doors of your stove. If you have burnt household coal before but have not suffered an explosive flash, you will still damage the inside of your stove. The volatile smoke released by the coal can still catch fire and can burn for up to 30 minutes. This can result in a twisted baffle, warped grates, cracked liners and misshapen retainers. You can read the stove glossary if you are unsure of the terms we have used.